When your son decides to get married, you feel so elated that you find it difficult to express it in words. However, there is something that sets you worrying as well. If you are worried because of the father of the groom speeches that you have to give then just ease off all your worries. It is just that you need to plan everything well so that you might not find it hesitating to deliver the speech. This is such an important occasion that you do not want mess up anything. Delivering charming speech is all that you should have on your mind. There are so many things that you need to consider when you have to give this kind of speech. The family members, friends and guests have to be thanked for their presence and support and for blessing the newlyweds. This speech is based on the gratitude that you have towards guests and relatives. You have to say a few words for the family of bride and welcome them in the family. This is one occasion that can also propose to a toast as well. Putting in little efforts will help you in making the right preparation for the speech. There is no denying in the fact that composing the speech can be a quite a daunting and challenging task. This especially stands true as the speech has to be delivered to a several people. Starting from friends to guests and relatives, there are so many people whom you will be addressing this speech to. As guests who are present on the occasion of wedding hail from different walks of life and age groups and backgrounds; each of them having her or his sense of humour you need to prepare speech accordingly. If you are groom’s father then you can draft speech that is not only humorous but also meaningful. Given below are some of the tips for preparing father of the groom speeches. Stick to the chosen theme – Prior to start writing the speech, it is important that you have clear idea about the message that you want to deliver. For example, you might wish to share your experience of maintaining marriage or share the changes that you have noticed in your son since he met his better half. Deciding on theme is very important as writing speech becomes a lot easier. Make sure that you write the speech that is related to the main message that you want to deliver. Share with your guest’s funny anecdote – Now, sharing an incident that you and your son find funny will add to the overall atmosphere of the wedding. It is not necessary that it has to be something big. As a matter of fact, even simple anecdote can add meaning as well as humour to the entire event. This will stir up some good old memories that will bring smile on all present. Make sure you interact with audience – Unless you interact with your guests, they will not feel involved. Work out speech that arouses their creativity. Opening of your speech could be a question – Do you agree? Or do you remember? Involvement of guests will make the entire atmosphere all the more lively. Be respectful – Avoid trying to be funny at the expense of your guests. Make sure that you do not crack jokes that can hurt the feelings of others. Also, ensure that jokes you are cracking are clean as kids are also present on the wedding. Nothing should be offensive as it might hurt the feeling of others. Deliver speech with confidence – Everything boils down to the way you deliver speech. Careful selection of words can enhance the entire atmosphere. A speech that is well-delivered catches the fancy of guests leaving an impact on them. There are many who look for tips to deliver such speeches. Although there are diverse tried and tested ways of delivering speeches, it is important for you to choose the one that you think you are comfortable with. 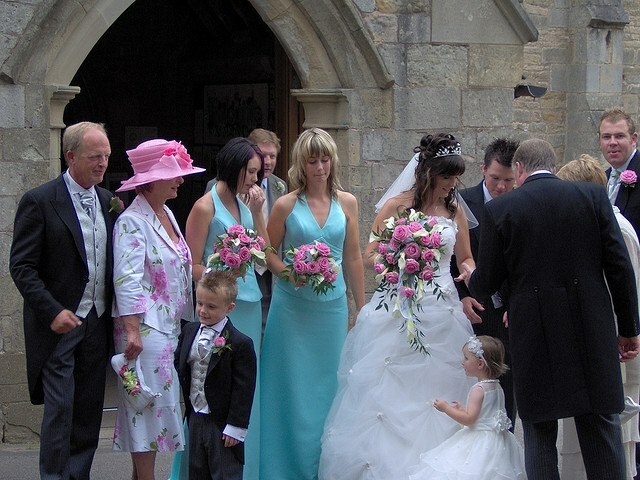 So, following the above slated tips will help you in delivering finest of father of the groom speeches. Gear up to deliver the speech without having any kind of hesitation of any sorts. A mother of the groom speech will have to present the mother's feelings or inner thoughts on the marriage of the couple. The mother of the groom speech also need to depict the mood of the ceremony. The mother of the groom speeches actually inclusive of bad remembrances or awkward moments. The groom's mother should express gratitude to the master of ceremonies as the first part of the wedding speech. She should give thanks to the many those that made contributions on the success of the wedding in the wedding party speech. However, she ought to only do this if no other speakers have thanked them before her. Within a case the place that the other speakers thanked the donors, the mother may give a short wedding speech on them. Immediately after one delivers the vote of thank you, someone should mention a few nice things about the son. If there are any nice funny stories to tell, the mother should narrate them in order to portray the son's humorous character. Such stories will not only humor your guests and definitely will show them the groom's side that almost all of them did not know about. A mother of the groom speech ought to be inclusive of such stories merely because assist in keeping the attendees content and attentive. Following the hilarious stories, she should welcome the family into their family, which is part of the mother of the groom speeches. This part of the speech is really important given that it depicts the ties between your two families. A person may mention the result that the bride imposed on one's son ever since the time they met. This needs to be using the welcoming of the brides family. Short wedding speeches are great for keeping the attendees attentive since they are not boring. The mother of the groom wedding speech might include the wants of a mother to them. The shifting of a mother of the groom wedding speech may very well be following wedding vows. Somebody will incorporate humor and funny stories in regards to the groom in wedding ceremonies speeches. A mother of the groom speech will need to show simply how much the mother understands the son plus it must be heartfelt from a mother's view. A mother may use love quotes in the speech to remind the married couple that they can should work towards maintaining their relationship. Below is an marvelous wedding speech example, that this mother of the groom wedding speech ought to be just like. "I would want to begin by thanking internet websites ceremony for inviting me to deliver my speech as the mother of the groom. It is great to possess you all gathered because friends and family in honor of their wedding couple. I recognize most of you may have come from faraway area to sign up us in rejoicing on our your children's marriage ceremony... I have to convey our thanks. There are numerous good remembrances that found mind after I pondered whatever I would say today. I possibly could no more control my emotions as I sat into prepare this speech not because we might have your house to ourselves but because we will miss our son's company. For the bride, you want you joy and long lives together." The mother of the groom wedding speech has to existing on the reception, or probably at the wedding rehearsal dinner too, ought to be unique. Its for these reasons you happen to be recommended to see free samples as well as tips of mother of the groom speech. The key component will be the physique where anything you need to say and share about the groom is published here. For that conclusion part, you finish your speech with words of wisdom and very best needs. Composing with all of these 3 components completes a wedding speech. You've got to bear in thoughts that your speech must begin and ends with the intriguing, unforgettable line. They are able to be in a style of marriage ceremony quotations, funny statements or inspiring and heart warming poems. Attaching fascinating statements at the begin and ending of your speech can certainly make the crowd impressed. It truly is strongly advised that you find the top mother of the groom toast samples ever before composed.You will get a lot more concepts and info on how to create the most magnificent speech. Discovering some examples of wedding ceremony speeches and toasts is a wise action to just take to obtain reference. Constructing a special wedding concept with guidelines and help from mother of the groom toast samples can certainly make it a good deal simpler for you to accomplish rapidly. So seek to gather some suggestions provided by skilled wedding speech writers. Taking all of these items into thought will assist you to make one in the best speeches published on earth.